In some disappointing news for fans of actor Prabhas, his much-anticipated film Sahoo may not release this year. The star’s last outing at the theatres was Baahubali 2: The Conclusion, which hit the silver screens in 2017. The film was a phenomenal hit and Prabhas’ fan following soared throughout India. This has raised the expectation levels for Saaho. While his fans were expecting the film to release this year, we hear from sources that it has been postponed to next year. Reports say that director Sujeeth is not ready to compromise on the quality of the film and wants to come out with a perfect final product. Following this, he is taking time to fine-tune certain aspects of Saaho. It now looks like Saaho will hit the silver screens for Sankranthi next year. Major portions of this action thriller are being shot right now with plans to move over to Dubai later this month for the next schedule. Prabhas and Shraddha Kapoor will be flying to Dubai for this schedule along with the rest of the team to shoot some important scenes. Although not much has been revealed about the film, reports suggest that Prabhas and Shraddha will be seen essaying grey characters in the film. The film stars Prabhas and Shraddha Kapoor as the lead pair with Arun Vijay, Neil Nitin Mukesh and Jackie Shroff in pivotal roles. Music for Saaho is being composed by Shankar – Ehsaan – Loy while R Madhi is wielding the camera and A Sreekar Prasad has been roped in for editing. 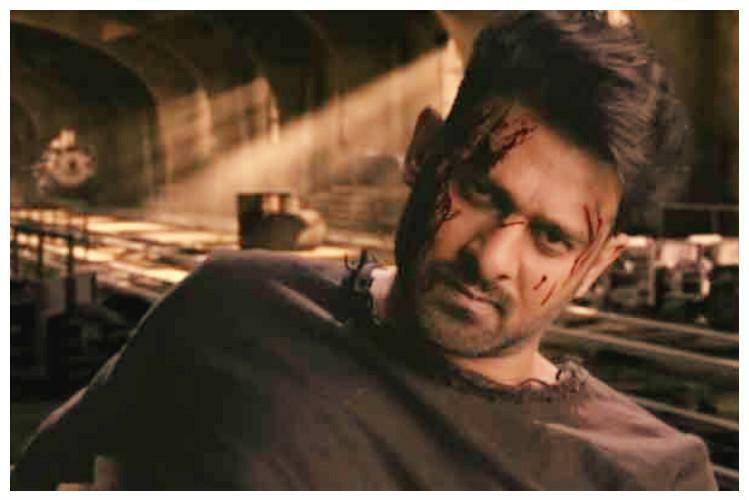 Considering the huge fan following its lead star Prabhas enjoys throughout India, the makers of Saaho will be releasing it in Hindi, Tamil and Telugu. The film is bankrolled by V Vamsi Krishna Reddy and U Pramod under their banner UV Creations. While the shooting of Saaho began in mid-2017, its first look poster was released on 23 October 2017, to coincide with Prabhas’ birthday.